Every day at St. Aloysius Academy we see the benefits of extracurricular activities. They give students opportunities to explore their talents, try new things and maybe even help them discover a passion they never knew they had. Extracurricular activities provide opportunities outside of the classroom for students to form new relationships, work with others and take on leadership roles. Many activities are offered during the school day and right on campus, making it easy and convenient for students to participate. A diverse offering of activities means there is something for everyone, at every age level. Read on to learn more about some of our main extracurricular activities. Music is a key component of the curriculum at St. Aloysius Academy and we are known throughout the Archdiocese for our award-winning music program. Music helps students develop fellowship, discipline and a cooperative spirit. Involvement in liturgy, general music classes, band and choir enables each boy to appreciate his own God-given talent, as well as the talents of others. Visit our Music page for more details. The philosophy of the St. Aloysius Academy Athletic Program is to provide diverse opportunities that are consistent with the spiritual and educational goals of St. Aloysius Academy. Our program encourages each student-athlete to recognize his abilities to play fair and by the rules, and to respect his teammates, his coaches, his opponents, the officials and himself. 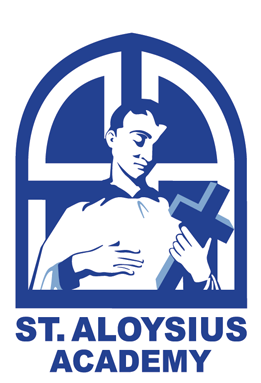 St. Aloysius Academy has an excellent reputation in athletics and offers an impressive array of sports during the academic year. The school is a member of the Catholic Youth Organization – CYO. CYO sports enables the partnership of parents, coaches, teachers and other leaders to manage and support a sports program that allows a student to grow in their relationship with God and come to better understand themselves and the Catholic faith. Visit our Athletics page for more details. After School Clubs at St. Aloysius Academy vary from year to year, providing interesting and diverse activities for students for students at all grade levels. A few of the clubs include chess, pottery, science, rocket, soccer, basketball, fitness, yearbook, karate and Future Cities for 8th graders.